It may come as a bit of a shock to anyone deeply entrenched in YouTube, TBP and other P2P sites, but it is possible to watch a lot of TV shows and films online in the UK totally legally. It’s a fairly depressing exercise hunting them all down, though. Many services are only available in the US, have shut down or are on an extended hiatus. Nevertheless, here are 15 services (eight free, seven paid for) that you can use to view TV programmes or films. If you know of any more that are legal and easily available in the UK, let us know in the comments below. About: Offers live streaming of BBC1 and BBC2 plus 7-day programme catchup service. Well-established service offering access to a wide range of BBC TV programming. Wide range of platforms supported for either streaming or downloading content, including PC, Mac, iPhone, Nokia devices. 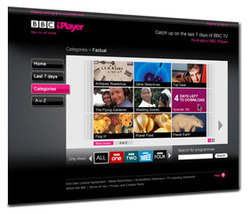 Shows from BBC HD are available to download in high definition. Rights management issues means some programmes aren’t available to watch live or archived. The internet is 20 years old today, and that fact made me start thinking about what the internet has given me over the years. I’m not going to get too gushy on you, I promise, but here’s ten websites that have completely changed my life. 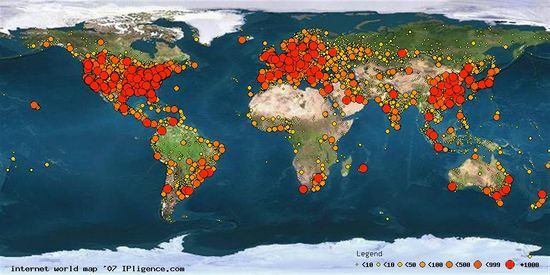 What are the internet applications that have changed your life? Our comments box isn’t working at the moment, but you can drop us an email or a Tweet sharing your favourite sites, past and present. Please do, I’d love to hear your stories. Now, without further ado, let’s begin the in-no-particular-order list. Click on the big Hotmail logo to begin. Scandinavia is a cold place. The nights are long, the winters are snowy, and the coasts are fjordy. To stave off the cold, they run their computers all night long, and as a result the populations of the Nordic countries have become rather adept programmers and designers. They make brilliant stuff, like the Pirate Bay, Ericsson phones, and a smörgåsbord of other exciting inventions, including Nokia and Spotify. 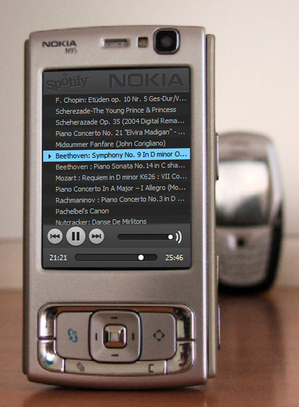 In my post this morning about Nokia’s new music phones, I questioned why the two companies hadn’t made friends yet. After all – Spotify has definite mobile ambitions and is in the process of pumping out an iPhone app. Nokia, on the other hand, dearly want to do more with music, but their Comes with Music service is an awful DRM-encumbred experience. Spotify has brilliant software, but no hardware. Nokia has incredible handsets, but a crappy software experience. So why not combine? Ditch Comes with Music, which must be a buttload of hassle for Nokia to operate, and get Spotify to do exactly the same thing, but better. Build a year’s subscription into the handset price, and everyone’s happy. Nokia gets a fantastic music service that it doesn’t have to run, Spotify gets a tonne of new happy users, and the phone-buyer gets unlimited streaming music for free. What could go wrong? Well, that depends on how Spotify implements its mobile experience compared to the desktop software. A constant 3G connection is unlikely, so there’s going to need to be some on-device storage of tracks, even if it’s heavily encrypted. From what we know of Spotify’s iPhone application, it appears that you’ll be able to cache entire playlists – which would be fantastic. When the device can get a 3G connection, it will, but most of the time you’ll probably want to be playing off the internal memory – for reasons of battery life if nothing else. A Spotify S60 application is coming, there’s no doubt about that, but with Nokia’s resources, expertise and cash behind the startup, something really exciting could happen that could really be a deal-breaker for someone choosing between a Sony Ericsson, Samsung or Nokia handset. Best of all, it could finally drop the axe on the aging iPod, providing a fantastic, integrated on-the-go music listening experience with a catalogue in the cloud. I can’t think of anything better. Picture the scenario – you’re at home, and your internet connection’s gone down. You want to ring the providers, but all the info is in your GMail, and you can’t get to it, because you’ve got no internet connection! What do you do? You stop panicking, because you’re turned on offline access for GMail. It’s a new feature for the popular webmail client that’ll allow users to keep a local cache of their messages so that if your internet connection drops for some reason, then you’ll still have complete access. It’ll also work in situations with no connection at all – on a plane, for example, or a bus. To activate offline access, go to the Labs section of your GMail. It should be in the list there. If it’s not yet (it’s not for me) then give it a few hours and it should show up. Once activated, click the “Offline 0.1” link in the upper righthand corner to set everything up. iPhone to get MMS support? Well this is a turn-up for the books. It looks like the jesusphone might be getting MMS support after all. Swedish telecoms giant Telia has announced that it’s planning to launch an application for the iPhone that will enable the much-missed feature. Of course, there are ways to hack the device to enable MMS support, but for those users who are (understandably) a little cautious about hacking something as tightly locked-down as the iPhone, there hasn’t been a solution up until now. No details have been released on how the application will work, nor how it squares with Apple’s ‘why don’t you just send it by email instead?’ approach. It’s not beyond the realms of possibility that the application will work outside of Telia’s native market, but nor is it a given, so don’t get all those picture messages queued up in your outbox just yet. Related posts: O2 puts unprotected MMS pictures on web, Google still caching phone numbers | Steve Jobs didn’t mention MMS for the iPhone 3G, but will it actually support picture messages? 6th October 2008 12th February 2019 Duncan Geere Which Tech Are You? 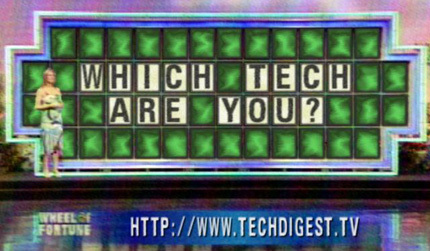 Welcome to a new weekly feature: Tech Trumpet. Each week, I’ll be attempting to create something vaguely resembling “music” using various gadgets and computers. This week, to ease things in gently, here’s a track made up entirely of sounds from my favourite piece of communications software, Skype. I’ll leave you to judge whether it’s electronica, synth, ambient, all or none of the above.